Based on a classical text, the drama tells the tale of a royal who is abandoned at the young age of ten because of a prophecy that said he would kill his father. As he grows up, he must deal with two parts of him that fight between good and evil. I honestly decided to watch this only because of Zhang Han (he's just a total bae) and I'm glad that I did. This drama is definitely one of my favorite Wuxia drama and I totally fell for this. Story- To be honest, the summary really caught my attention since it was somehow similar to the anime, Fushigi Yuugi. Wherein the female lead will journey to find her apprentices that would help her battle the bad guys and she will fall in love with one of them. But I think it was much more different and interesting than that. I think that the CGI was not overly done and it was really pretty decent. I loved the parts when they were fighting and the red and blue effects were there. It really made every action sequence very cool. The costumes were great! Especially the wardrobe of Xin Yue Hu. He carried it so well. I binged watch this for 2 days and every episode got me hooked. I usually fast forward some scenes when it comes to Wuxia dramas but in my surprise, I did not fast forward at all. This shows that this drama really succeeded in making every scene worth a watch. Some may think that the story started to roll downhill as the end is becoming near but I actually oppose that. Every decision that the characters made was understandable and the ending was actually one of the best part of the series. It made my heartache and at the same time it made me very happy and I fell in love. The ending was the perfect ending and there's nothing that can change that. It was really really good to be honest. It will give you a lot of feels, I promise you. Acting/Cast- Oh man, where will I start? Zhang Han was flawless. He was able to convince me that Chi Yu and Xin Yue Hu has a total different personality. Every actors portrayed their characters very well and they really gave justice to them. It really fits them perfectly. The main leads chemistry was just so great. They became one of my favorite pairs. Even though they are just doing simple gestures, they will still make me blush and feel butterflies in my stomach. Cheesy right? They are just that great. The connection between all the characters are superb. I hated the villains but at some point I fell in love with them. You will really feel the connection with the characters. It was a roller coaster ride for me, sometimes I hate them but sometimes I love them. You will really understand how their mind works and why they did that kinds of things. Every character was interesting for me. As in, every single one of them. I loved how the characters developed a lot through out the whole series. You will really see them grow and become mature, and this is why this drama is one of my absolute favorites. Music- I only gave this a 8 since there was not really anything special about the music but it was pretty decent. This is not like Korean Dramas where the OSTs are spectacular. But, the music really did fit in the drama but there's really nothing more to it. 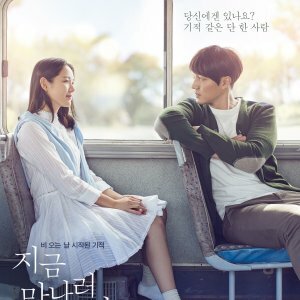 Rewatch Value- In my personal opinion, I would like to only re-watch the sweet moments of the main leads and some of the funny scenes of the lead characters. My absolute favorite scene was when all of them was gathered together, all complete, and they are just having genuine fun. I might have said this already but the ending was my favorite. It will hit you right in the feels. Overall- As I've said, this drama will truly be one of my favorite wuxia dramas. 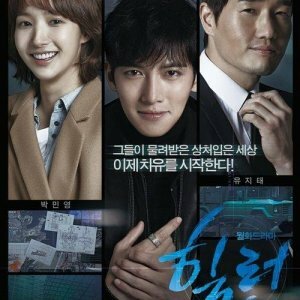 There may be some ups and downs about this drama but overall watching this is really worth it. You will grow to love every single characters and understand how they think. I was not able to watch some of the drama's episode for a whole day and I actually missed them. Yes, I missed the fictional characters. This shows the strong effect of the characters to me. 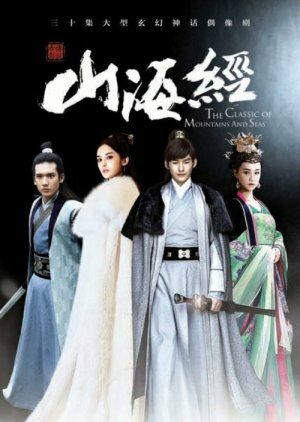 I would recommend this to all the wuxia lovers since I believe that this drama will grow to you as well. This is actually just a light drama compared to all the other wuxia dramas out there. This is definitely a must watch. But if you are not a wuxia lover, then just don't watch this at all. Oh man, suckered into watching another one of these period/fantasy dramas with cheesy CGI and flying kung fu. Starts off strong - very RPG-esque kind of setup with the plot development, but ultimately gives way to dragging, repetitive plot devices that slowly killed my interest in the series - to the point where I genuinely contemplated skipping over solid chunks of dialogue just to get to the ending. On a positive note, the CGI wasn't used excessively - the qi reinforced sword strikes actually looked kind of cool during fights. There really wasn't anything spectacular about the female cast, aside from them being really pretty. It might just be me and my pet peeve though, I don't find things believable if in my mind it seems too stupid for people to do - i.e the protagonists repetitively falling for similar, not-so-elaborate traps set up by the antagonists. I didn't like how the two main female roles ended up being weak (one completely manipulated, and the other completely powerless as a character, despite alleged &amp;amp;amp;quot;saint&amp;amp;amp;quot; abilities that she uses like once.) In that regard my distaste is more so directed at the character/plot design and not so much the actresses themselves, kind of like how in some movies a simple cellphone call would resolve the entire plot-line. I did however especially like the casting of Bai Li Han (William Feng) - he has the deep, villainous voice that fits his role. 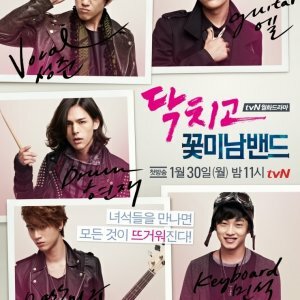 Oh, and the male lead playing two different personalities was kind of cool too. Watch if you like fantasy/wuxia, skip if you don't.